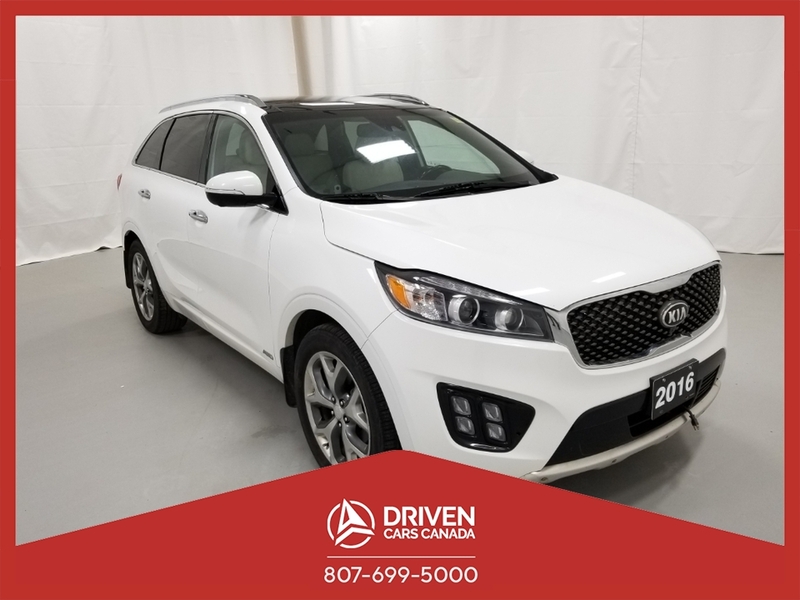 Our great looking 2016 Kia Sorento EX V6 AWD SUV in Snow White Pearl exudes sophistication with an edge! Powered by a 3.3 Litre V6 that generates 266hp while tethered to a smooth-shifting 6 Speed Automatic transmission for smooth and quick passing capability. This combination delivers impressive performance with the tenacious traction of All Wheel Drive and near 9.0L/100km on the open road! Stunning from every angle, our Sorento EX V6 is enhanced with alloy wheels, a power sunroof, roof rails, and LED running lights. Inside the well-appointed EX cabin, you'll be met with seating for seven, heated and cooled front seats, dual-zone automatic climate control, a rearview camera display, and 40/20/40-split second-row seats that slide and recline, and third-row seats. The UVO eServices Infotainment System along with Bluetooth phone and audio connectivity, a CD player, full-color navigation, available satellite radio, an auxiliary audio jack and a USB/iPod interface allows you to stay safely connected and listen to whatever music suits your mood. Why purchase a used car from DRIVEN CARS CANADA: We make it easy, simple and painless. 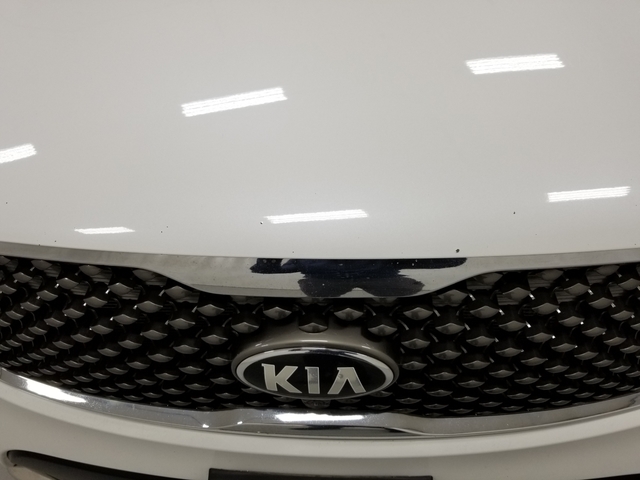 This 2016 Kia Sorento EX AWD also comes with a 30 day/500km warranty covering any pre-existing repair.